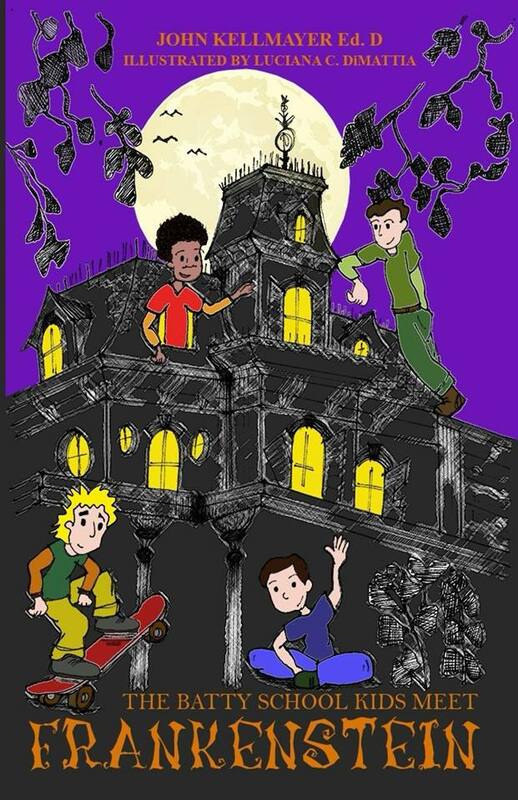 The Batty School series is a middle grade fiction series that Dr. Kellmayer has created to provide young readers, 8-12, especially reluctant male readers, funny and action-oriented books that entertain and teach important life lessons. The series features a diverse group of students and is set at the Governor Batty School in Maple Glen, New Jersey. The school was named in honor of Barclowe Batty, former New Jersey governor who grew up in Maple Glen. The kids call the school The Batty School for short. A Lesson For A Bully tells the story of a social studies teacher who raps lessons to encourage students to learn; a very unusual basketball coach; an immigrant from the former Soviet Union, and a bully named Hershey Bar Henry! 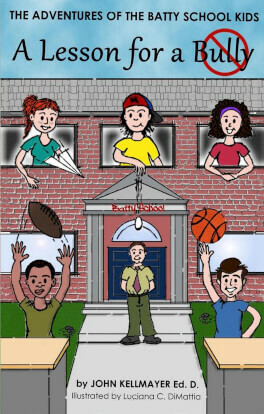 The Batty School kids experience a roller coaster of laughs, excitement, and challenges during their quest to win the league basketball championship. I bought A Lesson for a Bully for my 10-year old nephew, who could be described a reluctant reader. He absolutely loved it and read the entire novel, about 140 pages, in five days. My nephew usually wants to watch television every night. But his parents and I were completely surprised that he preferred to finish his book instead of watch TV. He called the book funny and cool! 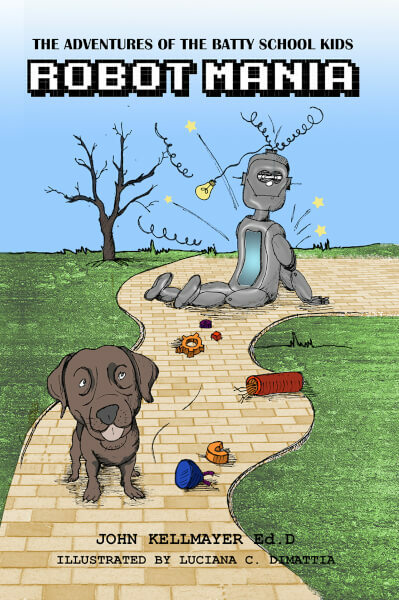 My nephew excitedly told me about the characters in A Lesson for a Bully, about the crazy basketball season, the rapping social studies teacher, and the out of control chocolate Labrador retriever. I understand that this is the first book in a series. If the other books in the series can live up to A Lesson for a Bully and can make a reluctant reader that enthusiastic about a book, then sign my nephew up for the entire series. This book was used in my 4th grade classroom during a whole group reading period. While reading this text, the students were able to make personal connections to the trials and tribulations of the main character, Sam. There are a number of students that attend my school who come from different towns, states, and countries. Through reading this book, my students were able to discuss how it feels to be new to a school, what it means to be a bully, and how one can stop a bully. In addition to this universal theme, the students are exposed to wonderful literary devices and a number of historical references. My students really enjoyed reading this book. It helped shed light on an ongoing problem in schools today. As a teacher of 6th graders, I can totally relate to the issues that the children faced throughout the book. Children at this age must make decisions regarding peer pressure, and figuring out their place in the world. The author captured these real-life issues in very realistic ways! 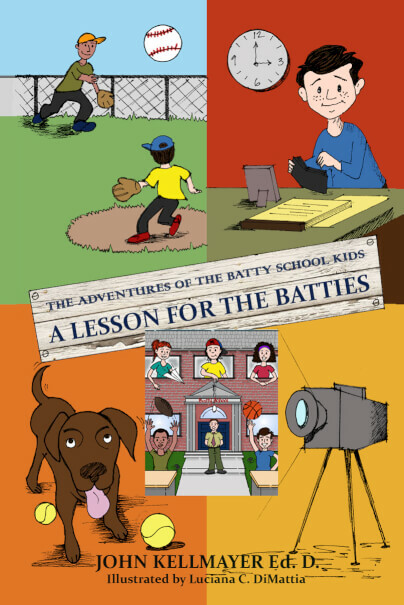 A Lesson for the Batties tells the story of a social studies teacher who raps lessons to encourage students to learn; a very unusual basketball coach; an immigrant from the former Soviet Union, and a bully named Hershey Bar Henry! The Batty School kids experience a roller coaster of laughs, excitement, and challenges during their quest to win the league basketball championship. I love this book because it talks about how a bully can turn into a nice person and if you believe you can do something. I liked this book because it had a lot of history and I really like history. I like the book because I like at the end how everyone is friends and they all get aigns good. I also like how the book has basketball. © 2017 Batty School Kids. All Rights Reserved.